Brooklyn, NY, WPH Press, 6/21/17- Junior WPH are thrilled to present the second annual JR WPH NYC 1WallBall Junior Shootout in Brooklyn, NY, Sunday, July 30, 2017, starting at 9:30 am. 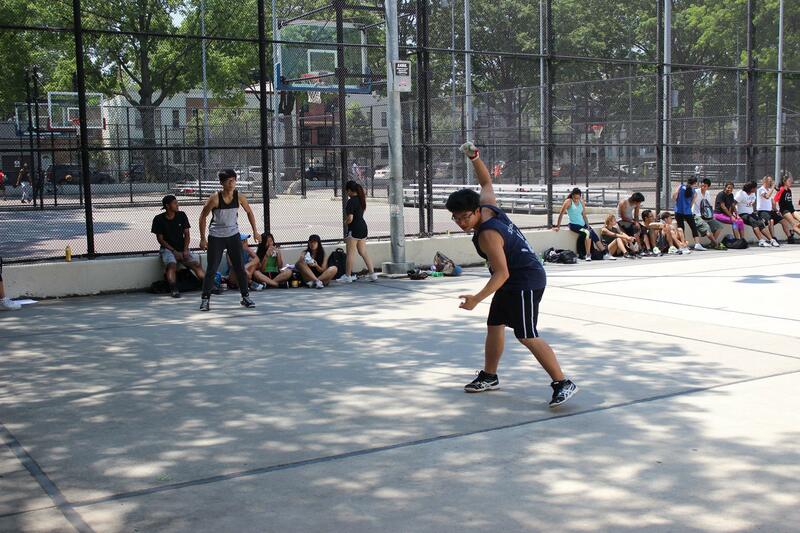 Brooklyn’s St. John’s Park will host the junior singles showcase event on the 12 pristine 1-Wall handball courts on the park grounds. St. John’s Park is located at 1251 Prospect Place, Brooklyn, NY 11213. The JR WPH NYC 1WallBall Junior Shootout will feature boy’s and girl’s 11-and-under, 13-and-under, 15-and-under 17-and-under and 19-and-under junior big ball singles divisions. Last summer’s 2016 JR WPH NYC 1WallBall Junior Shootout featured more than 70 junior handball players, with the youngsters demonstrating outstanding handball skills and sportsmanship. The World Players of Handball is extremely fortunate to be working with New York City’s junior handball ambassador and JR WPH NYC adviser Veronica Figueroa and the Lincoln Terrace Handball Association on the 2017 JR WPH NYC 1WallBall Junior Shootout. Ms. V will serve as the tournament director at St. John’s Park on July 30, with help from members of the Lincoln Terrace Handball Association. Registration is also open on site at St. John’s Park between 9-9:30 am on July 30.